The toughest part of being a ghostwriter is altering your personal voice according to someone else’s instructions. You do your best to capture the essence of an idea, but you still wonder whether or not you’ve infused too much of your own personality into an article. Here is the tricky part: you should not lose yourself entirely when you’re acting as a ghostwriter. Your own voice matters; you just need to find the right balance between your inspiration and the given instructions. How can you respect someone’s guidance while preserving your individuality? Can you really write in someone else’s voice? These tips will help you become a brilliant ghostwriter. When you get instructions for a particular post, eBook, article, or another type of project, you receive a broad framework of main ideas. This is the part you shouldn’t alter by any means. If you have issues with some aspects, or you think you could make the overall content better by changing the main ideas, you should discuss the suggestions before the research and writing process starts. In most cases, your opinions will matter, but that “someone else” will still be in charge of the main ideas. Remember this: Do not change the main ideas without prior consultation and approval. Of course, you cannot change statistics and other types of specific data. If you are instructed to insert that information in the project, there is not much you can do about it. You can check the accuracy of the given data, but do not make any intervention if you don’t get a green light. If you are ghostwriting for a personality that has already established a public reputation, you will need to use their signature words and phrases. Even if the catchphrase is grammatically incorrect, you need to use it as it is. The audience is already used to it, so the content wouldn’t seem genuine if you tried to alter it. Is It Okay to Use Your Own Voice? Yes, it is. 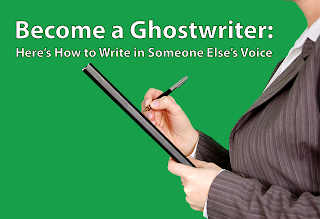 Being a ghostwriter doesn’t mean that you don’t have a personality. Even if you get the most detailed instructions, they will still leave some space for your own expression. Once you get the main idea, style and tone right, you will have liberty (although limited) to experiment. Sometimes it is necessary to get into details or offer some background on the data you provide. If you feel there are gaps in logic, you can conduct your own research and write more information that would make the content understandable. Don’t get carried away; try to provide the adequate explanations in few sentences. People who hire ghostwriters are usually too busy for the details, so they will leave this aspect to you. You will get general information that can serve as a framework, but the detailed outline will be up to you. Plan the arguments you are going to present, think of the requirements you got, and arrange a perfect outline that will result with well-organized content. The main thing to keep in mind is to follow the instructions very precisely. If there is space for your own voice and you’re sure it doesn’t counteract with the main idea, you can infuse it. research on it but not as full and prominent as it represented in this article. Keep going, you are doing well! I think is the tremendous article for ghost writers and this article will also help many Dissertation Writers and assist them in writing, and student can also take the writing help from this article, I really thank full to you for sharing this awesome post.